American poet known for The Inverted Touch, The Flower From the Ashes, Lyrics and Sonnets, and other works. Her poems, which were published by such popular journals as The Atlantic Monthly and Scribner's, often address the liveliness of the urban environment. She briefly attended Oberlin College. 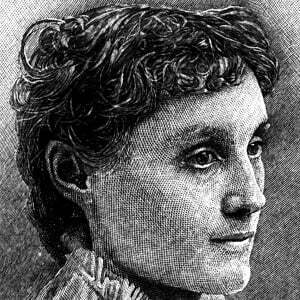 She published her debut poetry collection, A New Year's Masque and Other Poems, in 1885. She was employed by Harper's in New York City. She lived in New York for most of her adult life and wrote more than three hundred poems during her time in the city. She was inspired by Romantic poet John Keats.